Welcome! I am Mrs. Swinson and I am your BPS Media Coordinator. I began working at BPS in 2017. 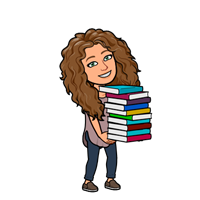 I Love working at our school and I can not wait to help you find what you like to read! Our BPS Media Assistant is Ms. Williams. We have lots to offer in the Media Center, come check us out! Don't forget to keep an eye out for our next Book Fair! Purchase great books to read while you support our school.